Please select your PremierDev (Clinic) week(s). I am the parent/guardian and I certify that my child has no known medical or other conditions that could interfere with his/her participation in Super Soccer Stars Premier activities. I also understand and accept that the practice of soccer, both indoor and outdoor, involves certain risks of physical injury. Therefore, I, individually and on behalf of my child listed above, hereby release, discharge, and hold harmless Round Star, Inc. d/b/a Super Soccer Stars Premier and each of its respective parent, subsidiary, and affiliated companies, and each of their respective officers, directors, agents, representatives, employees, successors, assignees, and licensees (hereinafter, �the Released Parties�) from any and all claims, actions, damages, losses, liabilities, costs and expenses of any kind whatsoever, including but not limited to any claims of negligence, arising out of, resulting from, by reason of, or in connection with my child�s participation in any Super Soccer Stars Premier program or activity. I agree that I will not bring or be a party to any legal action or claim against the Released Parties, or any of them, based upon or arising out of my child�s participation in any Super Soccer Stars Premier program or activity on any legal theory whatsoever (including without limitation personal injury, negligence, rights of privacy and publicity, or defamation). I understand and agree that Super Soccer Stars Premier has the right to terminate the enrollment of any child from Super Soccer Stars Premier if it, in its sole discretion, determines that the continued attendance of the child in the program is not in the best interest of the child or the program. I agree to supervise or designate a responsible adult to supervise my child prior to and immediately after his/her Super Soccer Stars activities. I understand and agree that in case of an allergic reaction, I am solely responsible for attending to and treating my child. Super Soccer Stars Premier coaches are not authorized to administer medication or EpiPens. 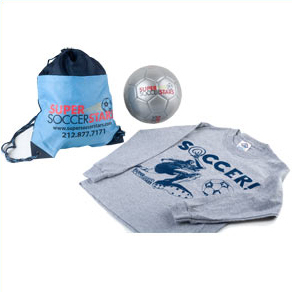 Super Soccer Stars Premier or its agents reserve the rights to take and utilize photographs and film of participating children and their parents or caregivers while engaged in our classes. By signing below, I consent to Super Soccer Stars Premier use of my child�s and my own photograph and video for advertising, promotional, and related purposes, and waive all rights to compensation and other rights which may arise as a result (including any rights under N.Y. Civil Rights Law 50). I understand and agree that the email address(es) I have provided herein will be added to the distribution list for Super Soccer Stars Premier and its affiliate programs. Payment and General Enrollment Conditions. Super Soccer Stars Premier guarantees a full prorated refund (minus a $35 administrative fee) for the sessions� remaining classes before the second day of camp. No refunds thereafter. In the event that you decide to withdraw your child from the camp, you must notify the Super Soccer Stars Premier office by 5:00 the day before the second class of the pertinent period, and are responsible for all charges until you do so. No refunds or make ups for missed classes. If your child is unable to attend the first day of camp, you must notify the Super Soccer Stars Premier office a minimum of 24 hours prior to the start date in order to be eligible for a refund; all notifications less than 24 hours in advance are subject to the full day's fee. All checks must be made payable to Super Soccer Stars for the full amount of the session�s fee and mailed with your printed confirmation page to 606 Columbus Ave. New York, NY 10024. If paying by check, your child's spot will not be confirmed in the class until payment is received at the Super Soccer Stars Premier office listed above. Children who wear glasses must use shatterproof eyewear at all times. Children MUST wear shin guards and soccer appropriate footwear or sneakers otherwise they will not be allowed to participate in class. Sweatpants or shorts are recommended. 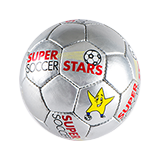 Super Soccer Stars Premier is not responsible for your personal belongings; please keep your items with you at all times. Soccer balls are also available ($15 each). It is the sole right of Super Soccer Stars Premier to cancel classes due to rain or inclement weather. Super Soccer Stars Premier will make every effort to determine the status of class no later than three hours before the scheduled start time of class, based on available hourly forecasts. In most cases, drizzle or light rain do not constitute cause for cancellation. Super Soccer Stars Premier reserves the right to cancel classes due to adverse weather conditions at any point in time, including while class is in progress, if it is determine that the safety of the children or staff is in question. If classes are cancelled by Super Soccer Stars Premier, either a make-up class will be scheduled or credit towards a new period will be applied. If parents or caregivers elect not to attend due to conditions, no make up or refund will be offered.